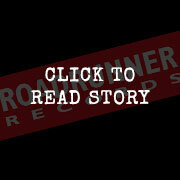 Roadrunner Records UK // DETONATION! We are giving away a FREE MP3 from TRIVIUM’S forthcoming album THE CRUSADE!! The mp3 in question, DETONATION, is available for download until the 21st August. At which time the DETONATOR will destruct (probably taking most of the web with it). To claim your free mp3 of DETONATION simply CLICK HERE and follow the instructions.